What’s That Wiki Doing in My ePortfolio? Audree, the brilliant programmer behind the system used at Chandler-Gilbert Community College as well as the version we share with the rest of Maricopa is rolling out some exciting new features for this software. 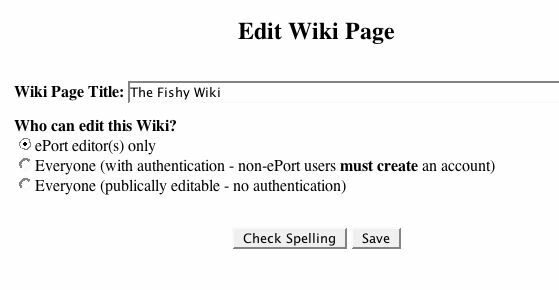 How about a wiki inside an ePort? Audree has rolled into the eport system a version of UseMod wiki. The eportfolio owner can elect to give editing access to only users on the eportfolio system Maybe this could be a series of experience reflections or a draft of a project outline and the owner or project collaborators can add responses or suggestions. 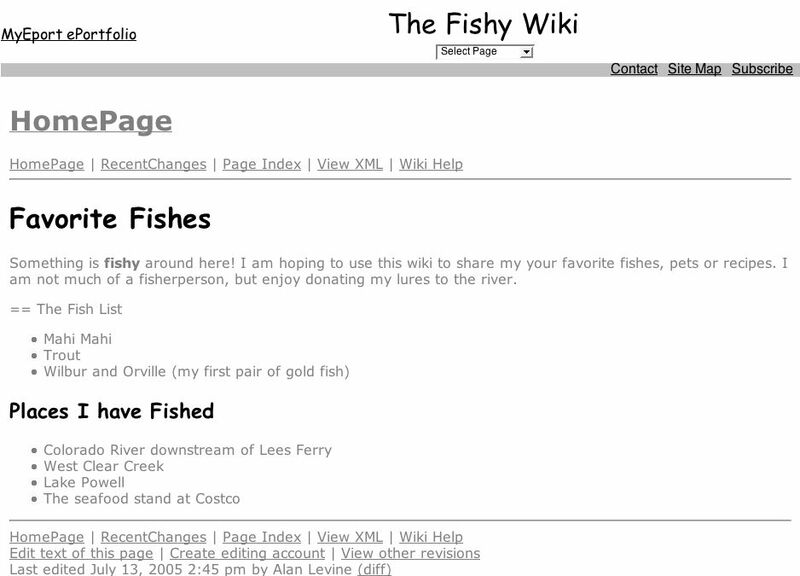 A wide open wiki- not sure at all how this might be used, but it is there. 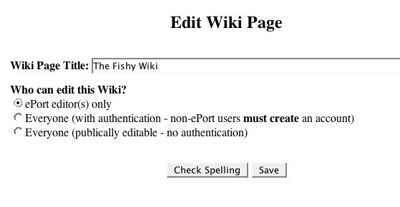 And then the eportfolio owner can also apply the over arching privacy settings to create passwords to limit access to any of the wiki pages. So in addition to a good set of page types (documents, collections, slide shows, polls/surveys, blogs, and a calender, now this tool has an ePort wiki. And there is automatic streaming of Quicktime video and upload mp3s, RSS syndication (including podcasting for included media files). we are now seeing a growing amount of uptake of eport usage as there are now almost 120 published ones on our server— including an interesting batch of ones from Art students, education students, some library technology students, faculty creating teaching portfolios… I am hoping over the summer some of our eportfolio leaders will look at doing some meta analysis of the eportfolio activity, as just in some simple browsing there is a wide array of good artifact posting and reflection here. Our eports are going to be really cooking this year! this may be just what we’ve been looking for!!! for a year we’ve been trying to figure out how to allow campus wikis without the administrative nightmare of spammers…here’s hoping this is the solution! eportfolio, blogging, wikis, rss syndication, podcasting, video streaming….its an instructional technologists dream come true! !